After more than 30 years of working with The Ashtar Command Healing Star Teams, Alexandriah has the ability to request from her Ashtar Command Star Teams any combination of Karma Clearing - MATRIX Clearing Freedom Series needed by her clients. After a phone conversation with her client and identifying what the issue is, Alexandriah then requests of the Star Team Masters whatever Karma Clearing - MATRIX Clearing - Freedom Series is most appropriate. 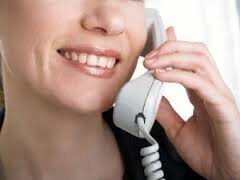 She usually ends these phone sessions with a request for an All Inclusive Karma Clearing – MATRIX Clearing - Freedom Series which is a series of sessions done in a single session which addresses whatever is the most immediate need in the client without having to specify what that need is. The Star Team Masters make the determination of what is most needed and then Alexandriah sends it to the client during their next sleep cycle. Although Karma Clearing - MATRIX Clearing Freedom Series Phone Sessions with Alexandriah Stahr can address any issue, this is not the first session to do with Alexandriah. Karma Clearing - MATRIX Clearing Freedom Series Phone Sessions with Alexandriah Stahr can only be done once you have done the 2 Week Fast Track Program. The Karma Clearing - MATRIX Clearing Freedom Series Phone Sessions with Alexandriah Stahr are for follow up sessions once you have done the 2 Week Fast Track. Once you prepay for your Karma Clearing - MATRIX Clearing Phone Session, you will receive email confirmation and instructions on how to schedule your appointment time within 24 hours.